For a renowned cosmetic chain, Q3 has developed a ChatBot, for targeting consumers and guiding them on their product range. The client is an Indian beauty brand of skin-care products. The product range includes anti-marks creams, face washes, scrubs, sunscreen, soaps, and face packs for the consumer and professional markets. As per statistics of 2017, the cosmetic brand is available in more than 37 countries includes SAARC, Gulf & Middle-East, ASEAN and African regions. It is sold in over 2 lakhs outlets in India. Beauty’s edge in the space can be attributed largely to its reliance on AR technology, thanks to its virtual try-on capabilities that have helped solve for the industry’s often cited “try-before-you-buy” conundrum with e-commerce. Giant cosmetic brands are incorporating the technology into their bots for the same effect and looking to merchandise products based on the personal taste of a customer. There’s no doubt that AI is enabling companies to craft tailored experiences that can accurately predict what will motivate consumers across the globe. As part of their brand-revamp campaign, the client was looking to introduce their new product line to its consumers in an informative and interesting way, which would grab customers’ attention by addressing their personal needs. The prime requirement was to guide consumers to specific products from the brand’s own product range by addressing their individual beauty needs. Major emphasis was laid on each customer’s skincare regimen, keeping an eye on environmental conditions, to diagnose the skin problems he/she might be facing, and to recommend a product from the brand as a solution to each skin problem. 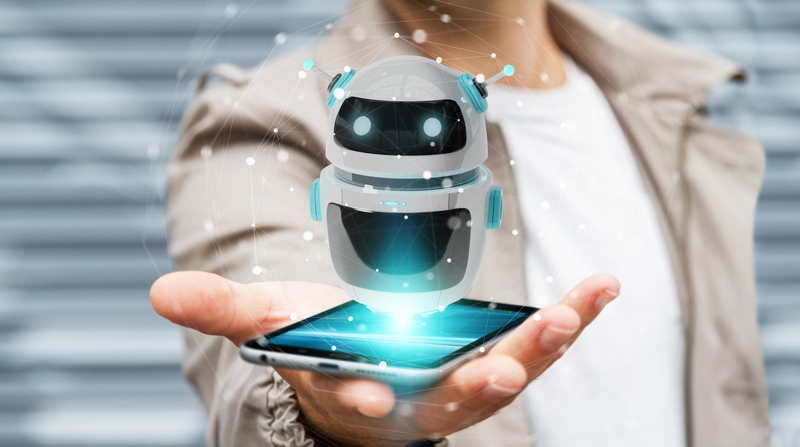 Q3 Technologies provided a singular interface for the entire experience the cosmetic giant wished to create for their customers, by developing a ChatBot. 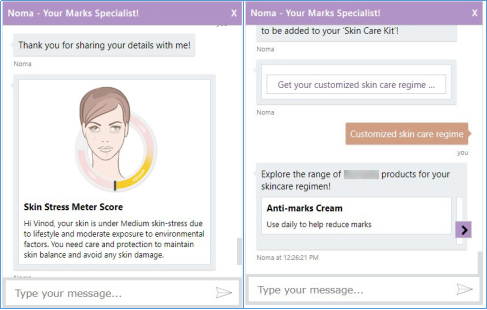 A ChatBot is an effective medium to carry out the entire exercise of first, obtaining knowledge about a user’s skincare regimen through a short quiz, diagnosing the skin problems faced by the user according to the mentioned skincare regimen, and then recommending products to help with each skincare issue. The ChatBot was developed using the Microsoft Azure Bot Service framework and was integrated as a web chat window in the channel of the framework. Once the information was obtained from the user and stored in a session, it was sent as part of an API call to get the diagnosis and recommendation of products, based on this information. A variety of responses types were used to represent the diagnosis and recommendation effectively, such as hero cards, carousal of hero cards, hyperlink buttons, GIF cards, etc. 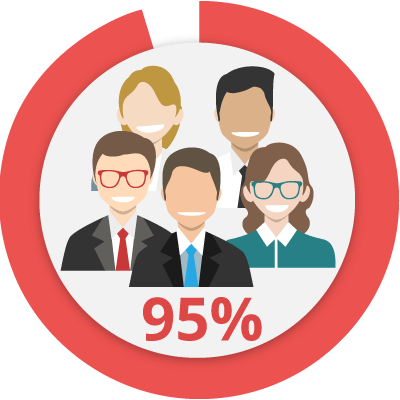 The entire user experience was designed and developed in an attractive, user-friendly, interactive as well as informative manner.